I just invented a word today: timeshaft. 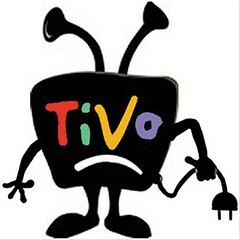 timeshaft: v. To catch up to real time on one's DVR (digital video recorder) or Tivo, preventing one from fast-forwarding through commercials or other uninteresting parts. See also timeshafting or timeshafted. Example: "I was watching the Grammy's on my DVR until I got timeshafted and had to watch Stevie Nicks and Taylor Swift perform in real time. I thought it would never end." I hope they approve it. Until then, I'll be pressing fast-forward on my DVR and collecting royalties every time you use my word. I also got timeshafted while watching the grammy awards and not only had to watch Taylor Swift but also the douchebag known at Jamie Foxx. @Paul: Thanks. Please send all royalties to the Iced Tea & Sarcasm Headquarters. @Brian: Dwight experienced the same pain. I feel for you both.